Xeams contains many log files that help users in troubleshooting common problems. Many logging options are disabled by default. Follow the steps below to enable extended logging. 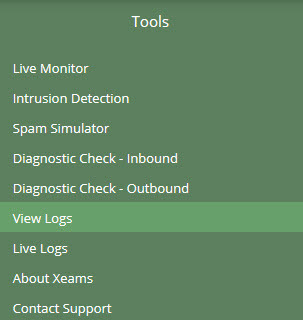 Click View Logs under the Tools menu. No. Although there is some performance degradation, it is hardly more than a few milliseconds. Therefore, this degradation can be ignored for all practical purposes.